Get out of town with these interesting Sydney side-trips: Elysian Rock Lookout (in Leura), Wentworth Falls (in Katoomba) and Fagan Park (in Dural). Spend the 13th (Thu) exploring nature at Sydney Harbour National Park. 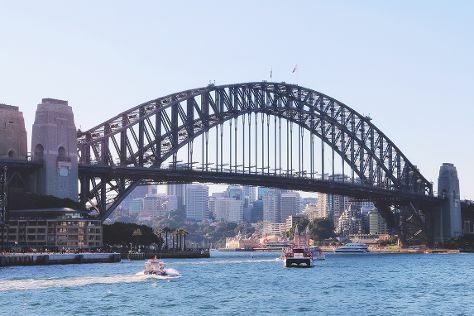 There's much more to do: catch a live performance at Sydney Opera House, make a trip to Sydney Harbour Bridge, admire the natural beauty at Royal Botanic Garden Sydney, and wander the streets of Darling Harbour. For maps, photos, more things to do, and other tourist information, read our Sydney trip app . Jakarta, Indonesia to Sydney is an approximately 11-hour combination of bus and flight. You can also fly. The time zone changes from West Indonesia Time (WIB) to Australian Eastern Standard Time (New South Wales) (AEST), which is usually a 3 hour difference. In June, Sydney is cooler than Jakarta - with highs of 21°C and lows of 11°C. Finish up your sightseeing early on the 14th (Fri) so you can travel to Brisbane. Change things up with these side-trips from Brisbane: Warner Bros. Movie World (in Oxenford), Surfers Paradise (SkyPoint Observation Deck, Infinity Attraction, & more) and Sea World Theme Park (in Main Beach). And it doesn't end there: stroll around South Bank Parklands, make a trip to Wheel of Brisbane, identify plant and animal life at Lone Pine Koala Sanctuary, and stop by Noosa Chocolate Factory. 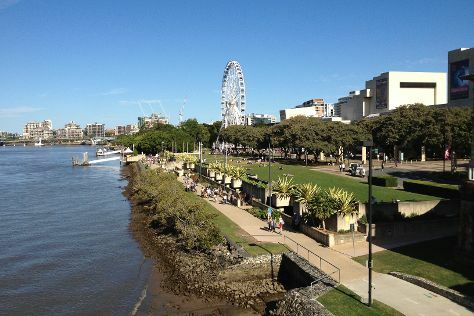 To find maps and other tourist information, go to the Brisbane trip itinerary planning website . You can fly from Sydney to Brisbane in 4 hours. Other options are to do a combination of flight and bus; or drive. In June, plan for daily highs up to 24°C, and evening lows to 13°C. On the 20th (Thu), wrap the sightseeing up by early afternoon so you can travel back home.